I came across 2 Terminal # 3 in my travel to Beijing last week. One in transit @ Changi and other one at Beijing. 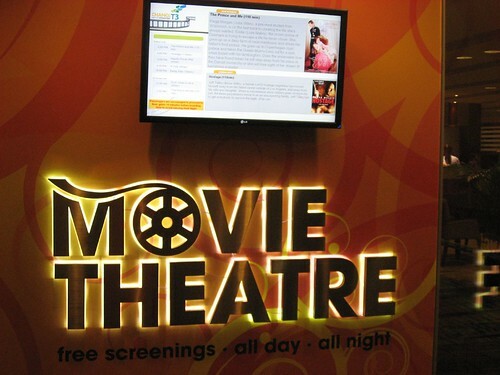 Both of them are spanking new and boasts of incorporating lot of green technologies. Both have lot of glass and steel. This as close as I came to the Terminal 3 in Beijing. 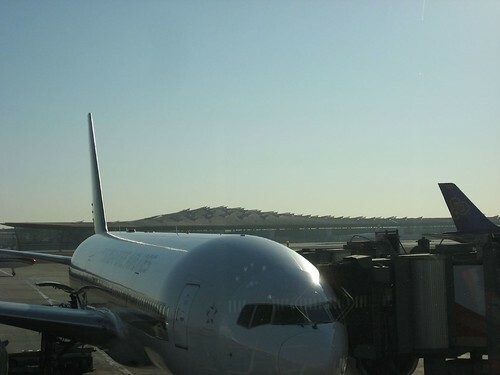 Though it officially opened on Feb 29, not all airlines have started operating from there. 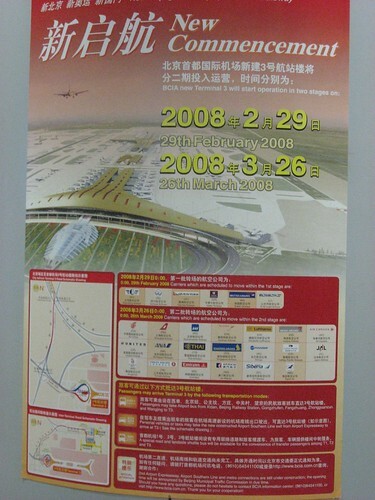 But, I hope to land there next time, which would be only after March 26, 2008. Can you spot the T3 in the back ground. I heard that Beijing's new terminal is the largest in the world and can handle over 60 million passengers a year. 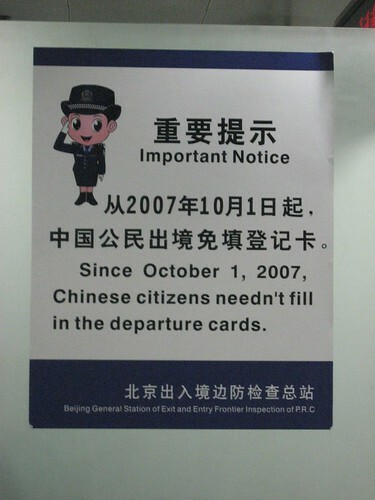 Travel in and out of Beijing has progressively become smoother and faster in the last few years. During my early visits, I remember having to fill 3 different forms and wade through long lines. But this time, the lines were short and filled just one simplified form. 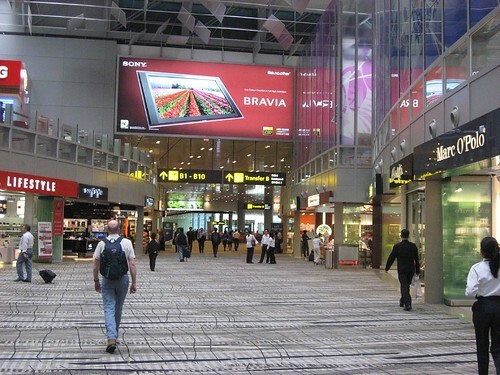 Both during my onward and return journey, my transit was via the new Terminal 3 at Changi. 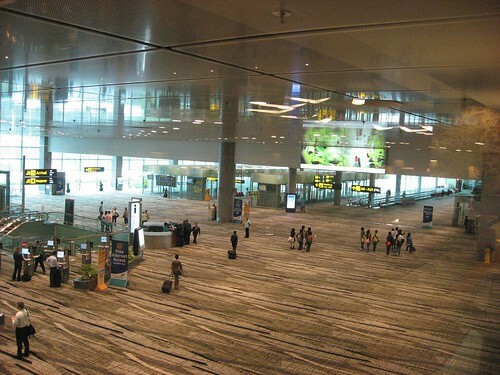 It is already the best airport in my list and that just got reinforced with T3. 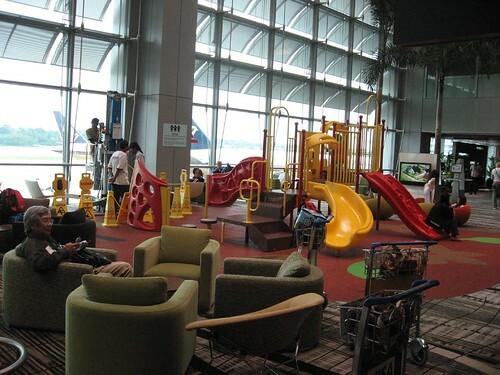 Changi T3 is vast and has all kinds of facilities a transit passenger would want. From spacious resting areas to free internet to play areas to prayer rooms, these guys have thought of everything and done it right. Shoppers paradise.. you can shop till you drop here.. Changi mall is targetted not only at travelers but also built to attract Singapore residents as well. Singapore being small and commuter friendly really helps here.. otherwise, who would think of going to an airport for shopping? 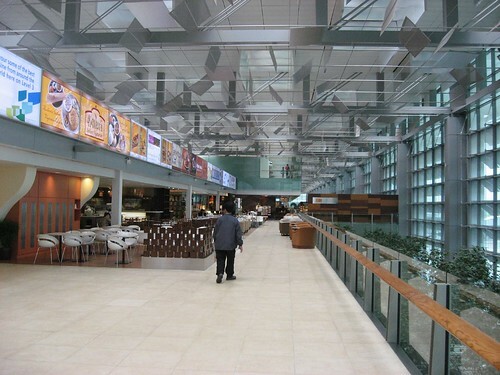 Array of eateris in Changi T3.. From Indian to Italian, restaurants to suit many different taste buds. 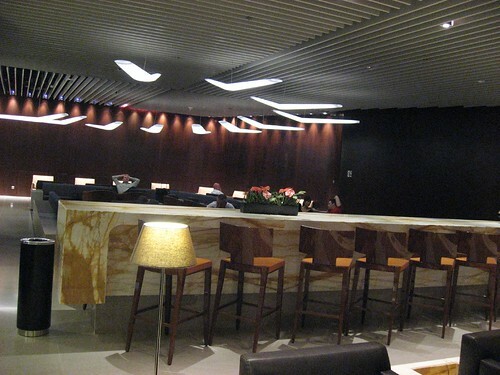 If the Changi T3 is cool, the Singapore Airlines lounge @ T3 is cooler. 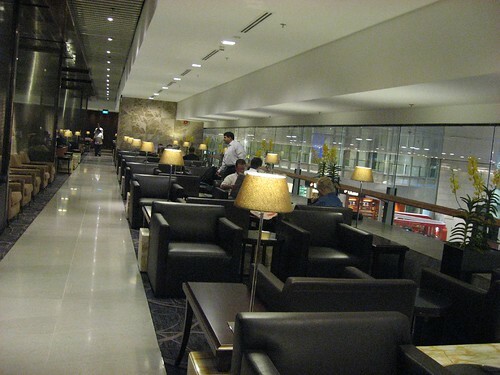 From free wifi to plush sofas to spead of snacks,this lounge is the best lounge I have been to.